In follow up to a previous post written about Love the Home You Have, my friend and fellow blogger Amelia from You Can Always Start Now and I committed to doing some of the challenges listed in the book “Love The Home You Have”. Our first challenge was to reclaim the dining room and I am proud to say that I still manage to have my table clutter free with a centrepiece on it one day per week – YAY! 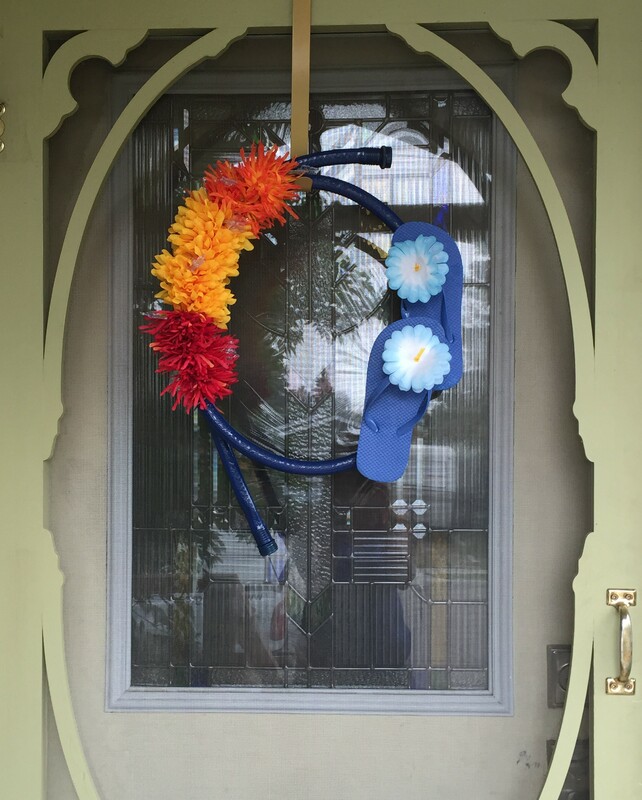 Since it is summer and I enjoy being outside and I enjoy decorating my outdoor spaces, it was easy to decide on Challenge #14 Welcome Home. This is about what your front door says to you when you walk up to it each day, it should make you smile and say “welcome home”. 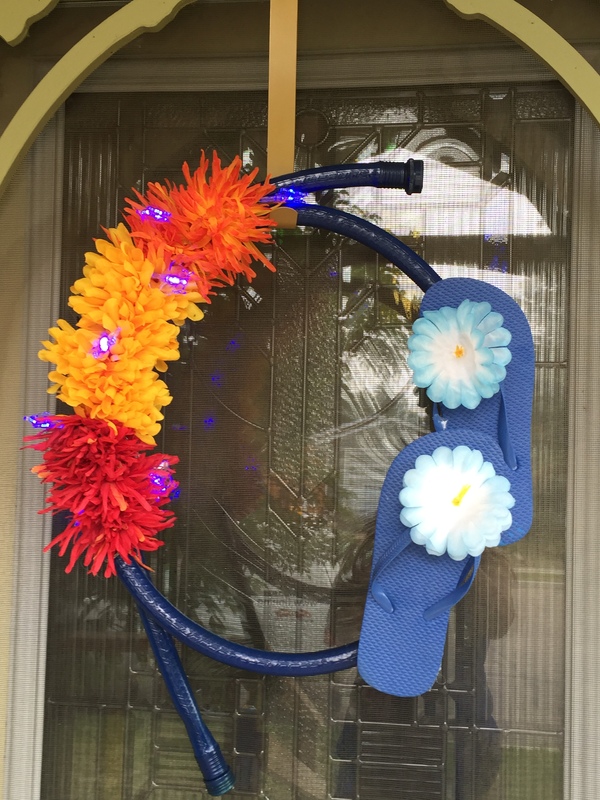 I enjoy changing the wreath on my door to complement the season, so this challenge was definitely one I knew I could complete. Amelia and I decided not to share our ideas or pictures until after we completed our wreaths – we discovered great minds think alike, be sure to pop over to You Can Always Start Now and check out her wreath. 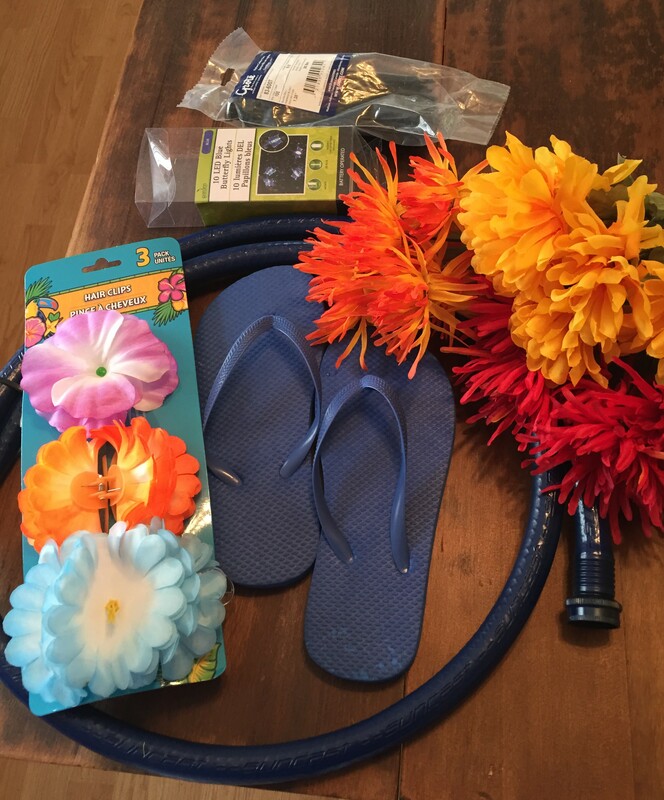 The hose was found discarded and all other items came from the Dollar Store! For a bit of added whimsy, I added butterfly lights, they look better at dusk and unfortunately this picture does not do them justice. An easy, simple, inexpensive wreath that makes me smile when I come home, It’s A Wandaful Thing!! This entry was posted in Decorate, DIY and tagged challenge, creativity, Decorate, DIY, easy, ideas, inexpensive, living, simple. Bookmark the permalink. 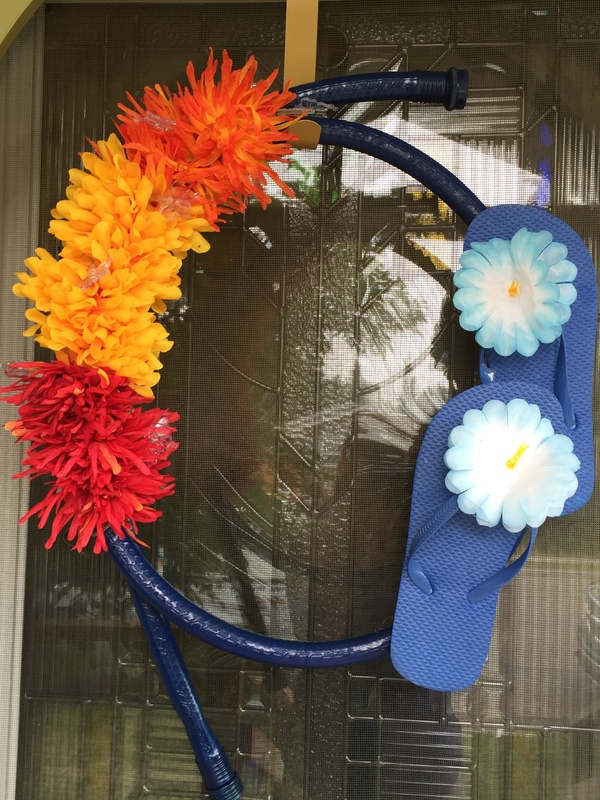 Pingback: Summer wreath – a twist – You Can Always Start Now!